Every now and then I find a piece of driftwood that is just the perfect size and shape that is screaming to be a sign! 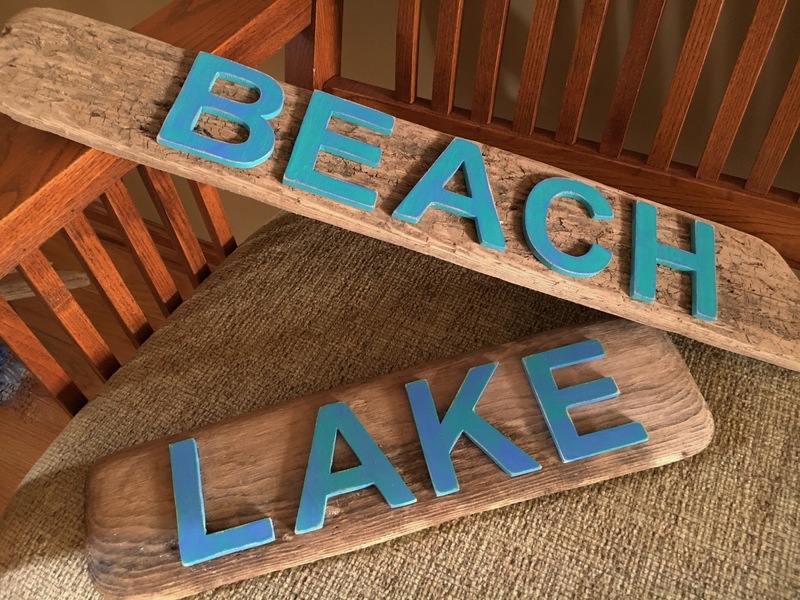 That was the case with these two pieces of wood -- BEACH and LAKE. 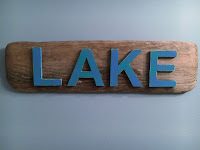 I was able to order wood letters from this great Etsy shop in Arizona https://www.etsy.com/shop/azwoodlady. Last year for Christmas I bought a saw for my husband so he could cut letters for me....did I mention I ordered these from AZWOODLADY....never mind, that's another story for another time! I used two colors of paint on these letters. For BEACH I used the blue as the base and covered it with an aqua, then sanded/distressed it to pull some of the blue forward. 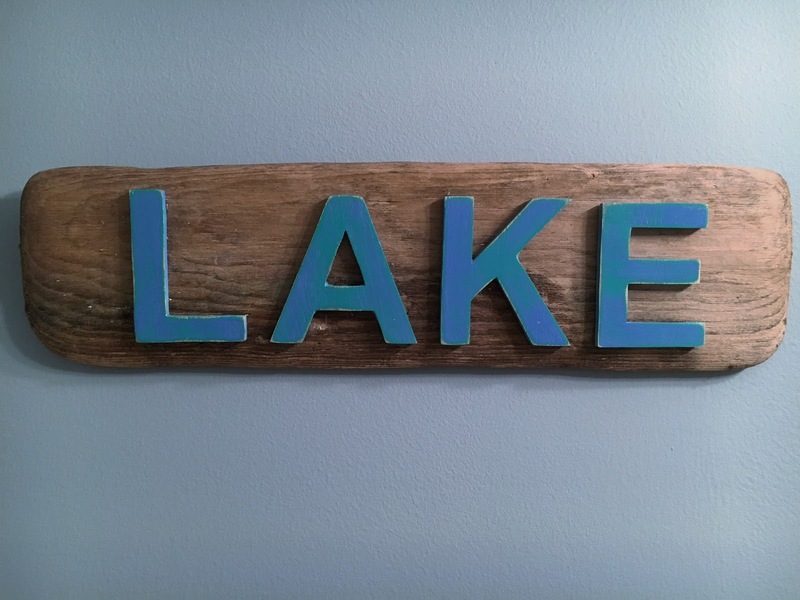 For LAKE, I did the opposite. I then added a paste wax and buffed it out. I just love the color and depth of the signs. 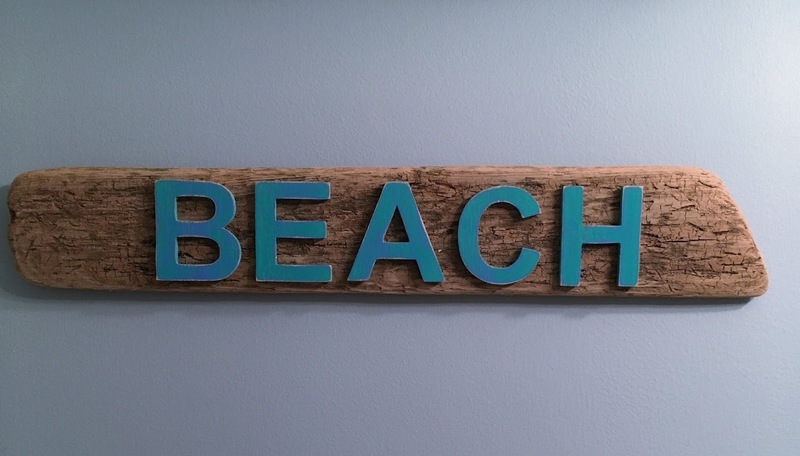 Just a fun little addition to any ones beach or lake house. See the signs in my Etsy store here.